CIPC Compliance - Bennett & Co Ltd.
As we are ending another mild winter, store ventilation and control may well have proved problematic. 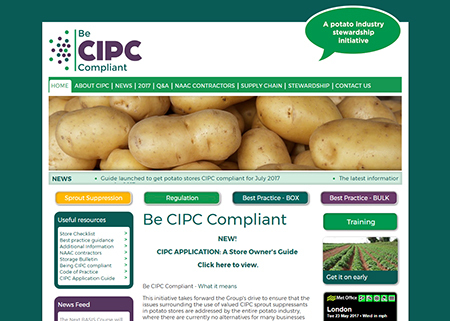 It is also worth a reminder that the new CIPC regulations come into effect in July this year and there is still time to contact Bennett & Co for advice about ventilation and upgrades for existing stores. Bennett & Co have the qualifications, experience and attitude to turn complex situations into no-nonsense, working solutions which stand the test of time.